The photos were beyond imagination. Her left breast had become a painful, grotesque tumor; her left arm swollen way beyond normal, making it painful and difficult to move. She and her family did not know where to turn. Then a neighbor told them about Kay Lasante. So our journey with Ms. Florida began. 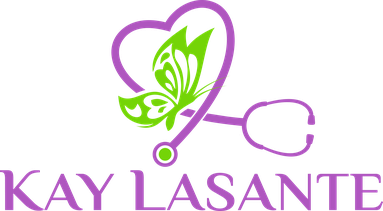 Deeply moved by her suffering, the staff of Kay Lasante cared for her in every possible way. She was immediately seen by the doctor, followed by the nurse, Ms. Menard, for dressings to protect the wound, and for comfort, medications, supplies for home, and a referral and transportation to Partners in Health in Mirebalais – the largest and best known center for patients with cancer in Haiti. Partners in Health, more than two hours away by tap-tap ( Haitian taxi) and burdened with the needs of so many, would not be able to see her for two months. In the interim, she came to Kay Lasante for follow up appointments. During one such appointment for a dressing change, Miriam Ford and I were able to meet and visit with Ms. Florida. We were struck by how gentle, dignified and patient both she and her son were during that visit. The heat was oppressive, and the pain intense, but she did not complain. All we could really do was be present, show heartfelt compassion, and promise that she was in good hands with the staff at Kay Lasante. We were truly impressed with how well the staff knew her – even the administrator – and how lovingly she was cared for. The clinic at Partners In Health treated her with oral chemotherapy and pain medication, but she was told that there was little to be done at this late stage. Surgery was impossible. She continued coming to Kay Lasante for follow up care. She became part of the clinic family in a sense, even showing up for the HIV prevention seminar on World Aids day, December 1st. Over the next couple of months, we were kept informed via email of her condition and how the staff was supporting her. We prayed for her often. It seems wildly improbable that we would have ever had the opportunity to meet this beautiful, humble woman, and yet meeting her has had a profound effect on us. To touch someone, however briefly, however gently, with this level of suffering, raises deep questions. How are we to accompany one another compassionately during deep suffering? Why such suffering? What hope can we bring to each other? These are Lenten questions, and they stay with us. They highlight the important work being done at Kay Lasante. The experience raises the haunting question: how we will continue to serve others in her situation? The feeling of helplessness in the face of her suffering was a confusing, painful burden. To realize that there was no hope for her was sad, but worse, deeply agonizing, was the realization that we had no hospice or palliative care treatment program to make her dying more comfortable. All we could do was pray for mercy. Bishop Tom Gumbleton and I returned to Haiti in February. While we were visiting the clinic, Ms. Florida’s son called to say that Ms. Florida had become too weak to get to the clinic. We naively decided to make a "home visit." Not only were we a conspicuous group, we were totally unprepared for the trek. Ms. Florida’s home was approximately a quarter-mile straight up a dry, dusty hill. There was a moment where we looked up the steep slope, covered with tents, and wondered if we could actually do it, but with the help of our friends, we journeyed on. There was nothing to grab onto except a twig here and there, and the edges of torn tents that people are still living in on this steep grade. It didn’t seem as though there was even one quarter of an inch between each tent. It was startling. How is living here even possible? How did she ever make it to the clinic? At the very top of the hill was a two room concrete structure, we had reached Ms. Florida’s house. The visit was transformative. We were shown gracious hospitality. There were two chairs brought in for us, wobbly on the uneven dirt floor. The only other furniture was the bed in the corner, covered with brightly colored sheets, on which Ms. Florida sat. There were a couple of colored basins hanging on the wall, used for laundry and dishes. The opening in the concrete where a window might be was covered by a beautiful white lace curtain. There was no electricity, and no water. Ms. Florida was being lovingly tended to by her daughter, who smiled shyly to acknowledge us, but then proceeded to braid her mother’s hair – just as her mother most assuredly once braided hers. It was a beautiful time of sharing and prayer. After months of praying for her from a distance, it was an honor to pray with her in person. She understood – even accepted- that there was little else we could do. She spoke with us about how Donahue, our administrator cared for her like a son would, and inquired about “her daughter” Ms. Menard, our nurse, who had taken such good care of her. As we took our leave, she was smiling. Shrugging, and speaking softly, with a touch of resignation in her eyes, she said she was sorry she didn’t have anything to give us, but she knew we would receive blessings for coming to visit her. Three weeks after our visit, Ms. Florida died, her family around her. It was much sooner than any of us had anticipated. We believe God heard our prayer for mercy upon her. Her suffering did not last too long. The trek up that steep, dusty hill has become a symbol we carry in this Lenten/Easter season. Ms Florida walked the solitary way of the cross, and Jesus walked with her. Through faith we believe she has now been transformed and resurrected to new life. In his last email, Donahue shared a simple benediction "...no more pain for her, rest in peace for her." … so I can wake up and so the door of my heart can be left open, the door of compassion.